“La Corte sul Naviglio” Bed & Breakfast is situated in the historical centre of Boffalora Sopra Ticino. This tiny, picturesque Lombard village is situated in the Ticino Park and is rich in history and culture and offers many breathtaking walks: many artists and poets have found inspiration from its spectacular sunrises and sunsets. 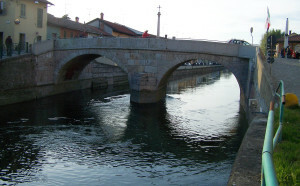 Boffalora is also known as “The pearl of the Naviglio”. The bustling city of Milan, the Milan-Rho exhibition centre and the new exhibition area, are only a few minutes away by car. Lake Maggiore and Lake Como, with their magnificent landscapes and views, are also nearby. However, if you prefer to explore the local countryside, we will be happy to suggest many different itineraries. Milan-Turin motorway exit Mesero at the southern junction with the new Malpensa dual carriageway.